Here’s what the issue was. Since an RSS feed is essentially an XML document, this XML document needs to adhere to some very strict standards in order for it to be valid. But first, a little background. I have my feed “hosted” with Google’s Feedburner service (an RSS service which lets you not only host a feed, but also “clean it up” and add other options to it). While Google hasn’t killed the service, it really has discontinued any development on it. But it still works. Recently, I was adding my site to an Influencer service, and part of the process was to add in my site’s RSS feed. When I did that, the service couldn’t pull my feed. It was broken. So, I went over to the “Troubleshootize” tab on Feedburner and decided to check the “Original Feed Validity” (which uses FeedValidator.org to do so). The result I got was interesting. On line 3, there was an interesting error: “XML parsing error: <unkown>:3:18: undefined entity“. Directly below that was my site’s title which showed “HighTechDad&trade;” with a little red arrow pointing at the “&” (ampersand). After a bit of research (first starting on this page from the “help” link), I learned that in XML, you are forbidden from using an “&” (ampersand) symbol. Update: actually, Shane corrected me in this statement. It’s not that the ampersand is forbidden in XML, it’s just that XML only supports a few types of XML (as outlined here). The HTML symbol for trademark is one of those not supported. Once I understood that fact, I started digging into how I could change the &trade; into the actual symbol “™” but that proved to be pretty complicated as WordPress really likes converting symbols into HTML character and was automatically converting from the symbol to the “&trade;” code. Grrr. There were solution references to wrapping the text within CDATA declarations (there are items in the feed that have that like with Categories), but I realized I didn’t have a clue on how to do it. I knew the concept, but not the implementation. Essentially, I wanted to add a function to my WordPress “functions.php” file within my theme folder to do this parsing. But, I’m not a coder, I only know how to copy and hack things together. After reading lots of related issues and ways to fix, as well as diving into the WordPress feed code and understanding that I needed to focus on the “bloginfo” element, I figured I needed some help. Since I had worked with Shane (of EWWW Image Optimizer) on troubleshooting an issue I was encountering on my site with his plug-in, and after looking at his hundreds of lines of code, I reached out for help (note: he doesn’t do support work like this that is NOT related to his plugin!). I explained the situation and my thoughts and he came back with not only a tutorial on how to fix my particular issue, but also the fix itself which I will detail below. So, the fix that Shane provided should work for other special symbols or characters if they are part of your site’s name within WordPress. The fix below is specific to the trademark symbol but you could probably just as easily do it with “®” or others. You would want to use the bloginfo filter. That looks to see if the current ‘page’ or request URI contains the word ‘feed’, and $show is either empty, which means the get_bloginfo() function returns the blog name by default, or $show is ‘name’, which of course does the same. Then it replaces the html entity with the actual trademark symbol, but you could also replace it with nothing, and empty string like ” (two single quotes) if the parser doesn’t like the trademark symbol either. From what I read though, xml defaults to utf8, so it should be ok.
Then, of course with any filter, you need to return the unaltered value if your condition doesn’t match, so that’s what the last line of the function does. Assuming I have no syntax errors, that should do the trick. If it breaks your blog, just remove the stuff you added, and it should go back to normal. Open your functions.php file – I would highly recommend NOT using the WordPress file editor and doing it directly on the file via FTP/SFTP. I found that sometimes the HTML symbol code was actually replaced by WordPress mysteriously. The functions.php file is usually found in your active theme’s directly (or in my case, a child theme directory). Identify the section to place the code – Hopefully, the theme developer has carefully documented where custom functions should go. 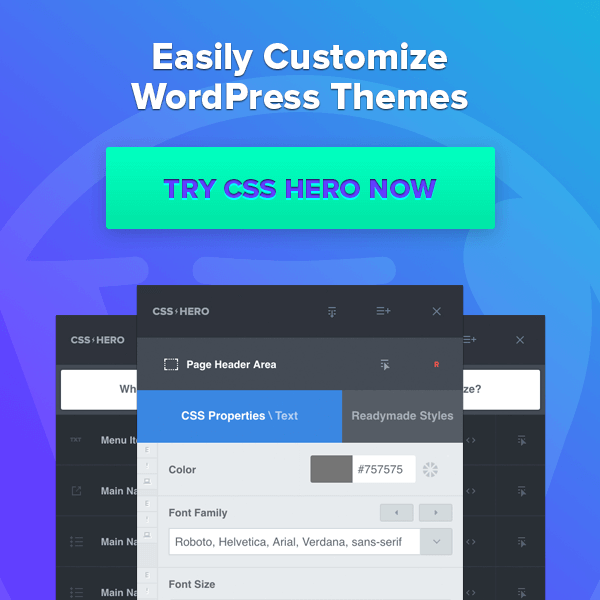 By using the theme’s custom functions, you don’t have to edit any core WordPress files (which may be updated and have your fixed overwritten). Place the code – It’s important to note that you need to put in both parts of the code listed above. I actually put the add_filter line in after the function declaration itself. (See the image below for what it looks like in my functions.php file. Save your changes – Upload the functions.php file back to your server. Flush caches – If you have any caching plugins or services, be sure to flush the cache. Go re-validate your original RSS feed – Validate your work! That’s it! Here’s what the code looks like in my functions.php file within my child theme directory. And, once I went to re-validate my original feed on FeedValidator.org, I was met with positive results. Oh, one more thing I should note. I was using a Feedburner redirection plugin to redirect my blog’s original feed to Feedburner. You should DISABLE plugins that do this, otherwise, when FeedValidator grabs your feed, it will not be getting your original site RSS feed. Here’s what my fixed RSS feed validation now looked like after applying the fix. And, if you look in between the title tags, you will see the trademark symbol and NOT the “&trade;” text. Then, just be sure you re-activate your Feedburner redirection plugin (if you are using one). I then took a look at my RSS feed which redirected automatically to my Feedburner version of my feed and it all looked great! I do hope that you found this solution helpful. Just remember, if you add the code and it breaks your site, it is easy enough to just remove it. Sometimes characters within the code can be hard to decipher (like ” vs ” – the first one is a double quote and the second is two single quotes). Feel free to leave a comment about this if the fix did (or did not work) for you. I’m not a coder, but others who are reading this article might be able to help. HTD says: I’m always amazed at how something done very innocently (like adding a symbol to the name of your WordPress site) can have downstream implications you don’t immediately think about. Luckily, there is always a fix!